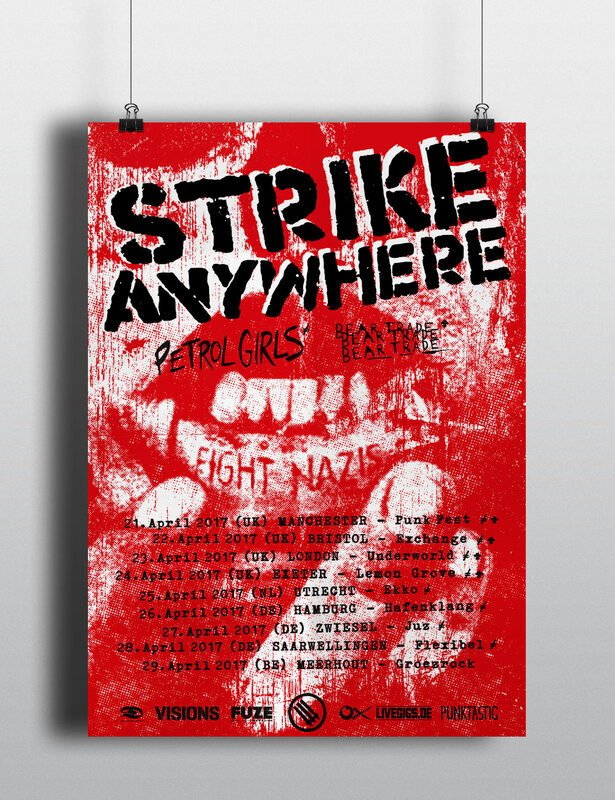 Tourposter für STRIKE ANYWHERE’s Europa Tour 2017. Special Guests sind die großartigen PETROL GIRLS and BEAR TRADE – beide aus UK. Die komplette Tour wurde von DESTINY BOOKING realisiert. Tour poster for STRIKE ANYWHERE’s European Tour 2017. Special Guests are the great PETROL GIRLS and BEAR TRADE – both from UK. The whole tour got booked by DESTINY BOOKING.